Resetting your app database can be a good way to fix a global problem and one of the first steps in troubleshooting issues. It will also force a new download of the most current print size library and album company data. When opening the program from your dock or Applications folder, hold down the Option key and open the software as you normally would. You can also hold down the Option key while right-clicking the Fundy Designer icon and select Open. Alternately, when opening the program from your applications folder, hold down the Option key and open the software as you normally would. You can also hold down the Option key while right clicking the Fundy Designer icon and then select Open. 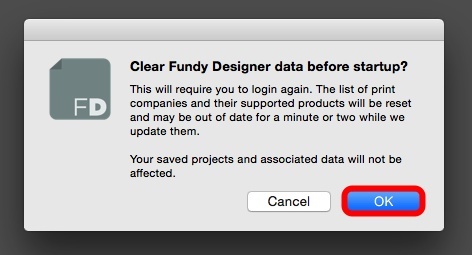 You will then be prompted to Clear all Fundy Designer settings before startup. Select OK. When this is done, you'll be prompted to accept the license agreement and then you'll need to log into the program using your email and password. When opening the program in Windows, hold down the ALT key while right-clicking on the application icon and select Open. If you are using Windows 7, hold down the ALT key and open the program by left-clicking it. The right-click menu function does not work in Windows 7 while holding down the ALT key. 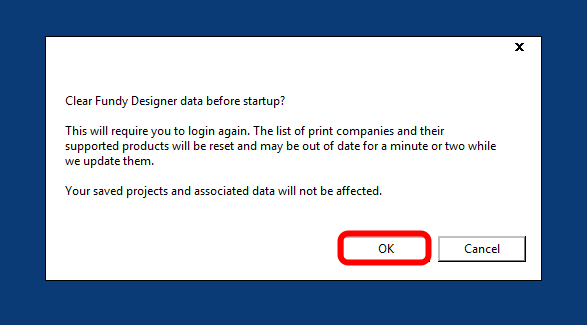 NOTE: You can NOT reset your app database from a shortcut in Windows 7. You'll need to go to your Applications folder. Rename the FundySoftware folder to something like "FundySoftwareOLD" or "FundySoftware2" and relaunch the program. 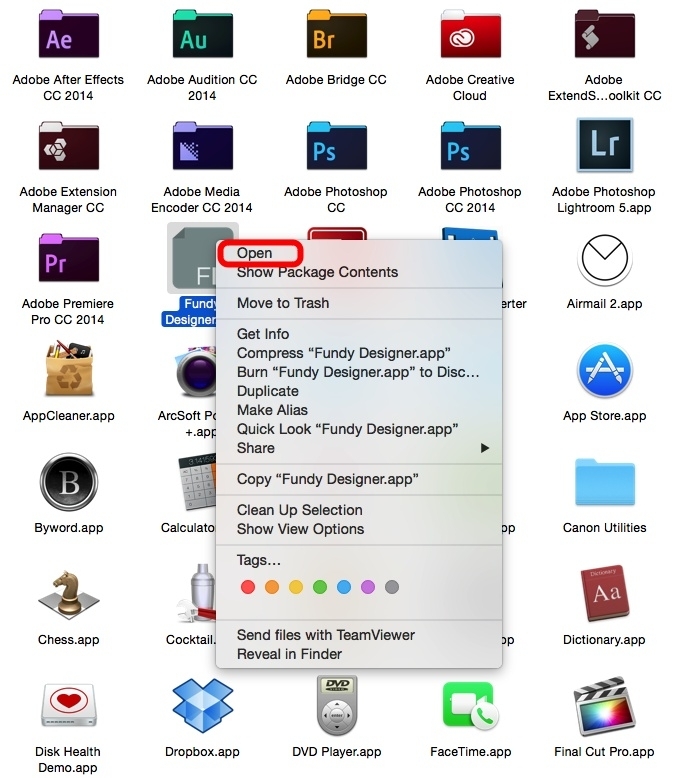 If you can't find your AppData folder, chances are it's hidden. Here's how to view hidden files. Open Windows explorer by pressing the keyboard shortcut 'Win+E'. In the Windows explorer, click the Organize tab on the toolbar and then click on Folder and search options. 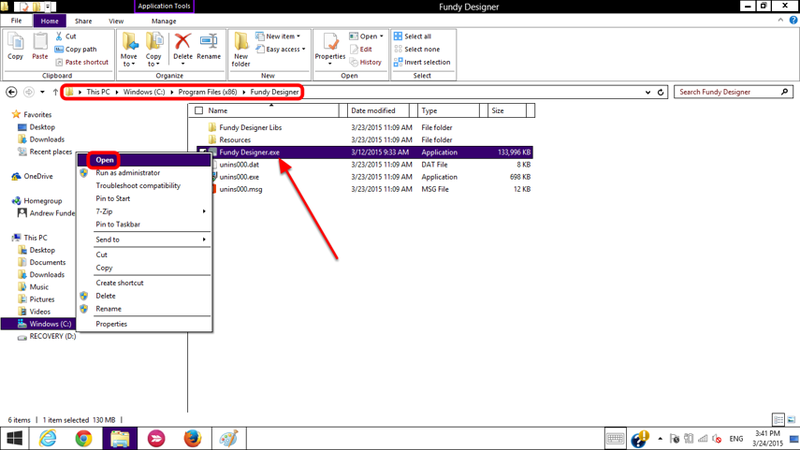 In the folder options window, go to View tab and check the option Show hidden files, folders and drives under Advanced Settings. Click OK.
That's it and you'll easily recognize the hidden folder AppData because it's slightly faded. You will be asked to accept the license agreement and Log-in again (now that your preferences have been reset) with your email and password.